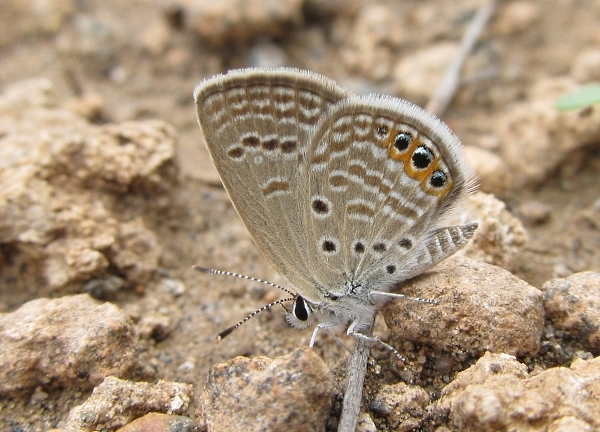 This tiny blue is found in Greece, Turkey and eastwards into India, where the above photograph was taken. It is described as rare and local in its European outposts. The upperside of both sexes is brown, with orange on the hindwing in the same place as on the underside. It is one of those butterflies that reveals stunning beauty when you get really close up to it but which can appear quite insignificant and even dull from a distance.